Biological dentistry and IABDM President Elect Dr. Joan Sefcik both make an appearance in the latest issue of the Austin edition of Natural Awakenings. Joan Sefcik, DDS, decided to be a dentist in seventh grade, when a retainer straightened her teeth and she could smile again. "I always liked to do artistic things and work with my hands, and it seemed like a good profession," she says. These days, Sefcik looks at the whole picture when treating her patients. "Holistic, or biological dentistry starts from the principle that the mouth reflects what's going on in the body and the body reflects what's going on in the mouth," she says. Her approach is to clean the patient's mouth as much as possible so that it doesn't affect the rest of the body. This includes the removal of bad metals like mercury, nickel and titanium, and the elimination of infections from old extractions or root canals. "Once these items are addressed, the body can begin to heal," she says. 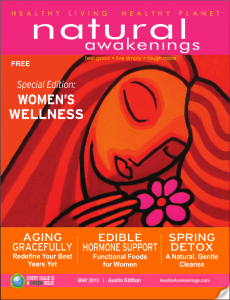 You can read the whole thing - and the rest of the issue (theme: women's wellness) - here.